Supplying power to a rapidly developing megacity isn’t easy. Mumbai, India’s 22 million residents are squeezed in at a rate of 53,000 per square mile, making it the third-densest metropolis on the planet and twice as dense as New York City. As the population swells and incomes rise, younger consumers in particular want the latest technologies for modern life. This demand gobbles up tremendous amounts of electricity and places a heavier and heavier load on the power grid. "To grow, you need to have a very stable power supply. It has to be 24 by 7, without any interruptions," said Ramachandran Pillai, chief of corporate operations for transmission and distribution at Tata Power, the largest integrated power company in India. "If you look at Mumbai, it is growing vertically," Pillai explained. "The load density is going to go higher and higher. When you have more load density, less space, higher population, you need to have a solution that is very safe and environmentally friendly." Cargill had just the solution that Tata needed in order to serve this growing demand: Envirotemp® FR3® dielectric fluid for power transformers. Much has been written about this bio-based fluid produced from vegetable oil: It has 56 times fewer carbon emissions than the petroleum products it replaces; it offers significantly more fire safety than those products; it is biodegradable; it allows transformers to operate at a higher load capacity and it helps them last longer. While FR3 fluid typically costs more than mineral oil, switching to an FR3-fluid filled transformer solution can offer significant total cost savings when looking at the broader impact on the grid. "Most utilities and power companies are under a lot of pressure from a cost perspective," said Dave Roesser, global general manager of the Dielectric Fluids business, part of Cargill Industrial Specialties. "When you pair the cost savings with all of the other fire safety and environmental benefits of the product, FR3 fluid has the potential to truly transform a city like Mumbai." Tata has been a pioneer in that transformation. The company began exploring the use of natural ester fluid-filled transformers as far back as 2003, but didn’t have a supplier with the right expertise. In 2013, Cargill’s Sabine Bowers, business development manager, introduced Tata to FR3 fluid. "I brought Cargill to Tata because our companies share similar DNA," she said. "When we commit to doing something, we aren’t going to walk away. Tata hadn’t found any other company that was willing to commit to grow in India." 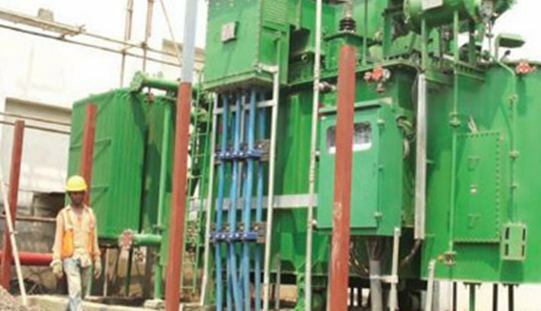 Cargill’s team began working with a transformer manufacturer and Tata Power to create a prototype for a sleeker, more compact transformer that would generate 25 mega volt amps. The prototype performed even better than expected. It clocked in with a higher capacity than planned with a 17 percent smaller footprint, which is critical in the space-constrained city. It yielded a cost savings of 16 percent. And it was much quieter, contributing fewer decibels to the urban environment. "You can fill any transformer with FR3 fluid, but it’s much more cost-effective if you optimise the transformer to take advantage of the fluid’s unique properties," Bowers said. "We partner with transformer manufacturers and their utility customers to ensure they get the most benefit out of an FR3 fluid-filled transformer." But switching to a different type of transformer and fluid was a risk for Tata. "You need to reassure the customer that you’re here to support them for the long haul," said Udipt Agarwal, senior category manager for industrial oils in Cargill Foods India. "We knew if we were committed to this market, it was worthwhile to invest in an asset on the ground that would demonstrate that commitment." Consequently, Cargill built an FR3 fluid production facility in Kurkumbh, about 100 miles inland from Mumbai. Previously, Cargill had to import the fluid from the U.S. Creating a domestic supply also helps Tata work in line with the Indian government’s "Make in India" initiative, driving Indian companies to source and manufacture products closer to home, and was a key attribute the Tata team wanted in a supplier. "With Cargill opening up this plant, they have also created a comfort level for us that we will have the product here, manufactured in India," Pillai said. "If you look at any industry, you cannot do things on your own. You have to have partnerships with people who think alike and bring a lot of value onto the table." A growing team of Cargill experts in the region work with the global dielectric fluids group to provide ongoing technical support. Both Cargill and Tata Power agree that what they are doing in Mumbai could be valuable knowledge for other cities that are projected to grow along the same path of high population and high density. "This could change the landscape of the power industry in India and create a new paradigm that can be adopted successfully by any country in the world," said Pillai.